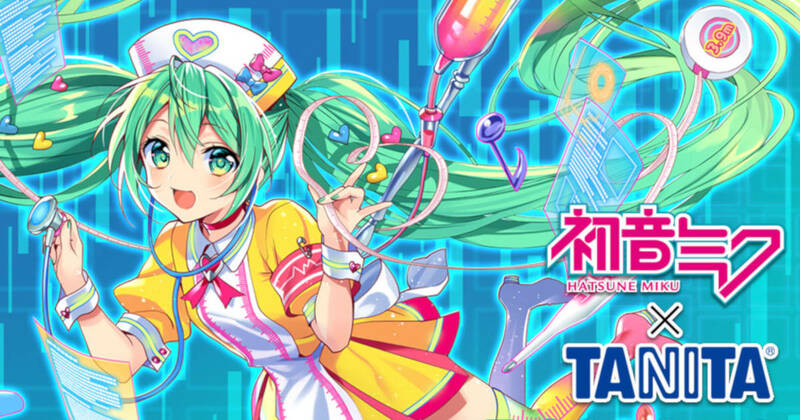 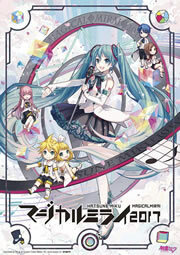 A new Hatsune Miku collaboration has just been launched with TANITA, bringing in Hatsune Miku themed body composition monitors, pedometer, and coffee to help Miku fans to stay in shape. The first is a fully-voiced body composition meter featuring illustration by Kaiku, with two of the voice samples now available for listen on the official web. It’s priced at 18,000 yen, and fully capable of measuring weight, body fat percentage, body water percentage, visceral fat, etc. 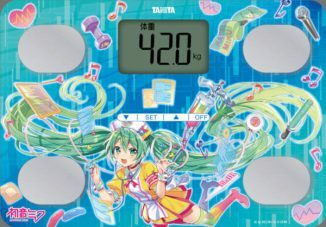 The second is a more simplified body composition meter priced at 6,000 yen donning the main visual by Yuichi Murakami, and the third is a pedometer priced at 3,000 yen featuring illustration by Kaiku. 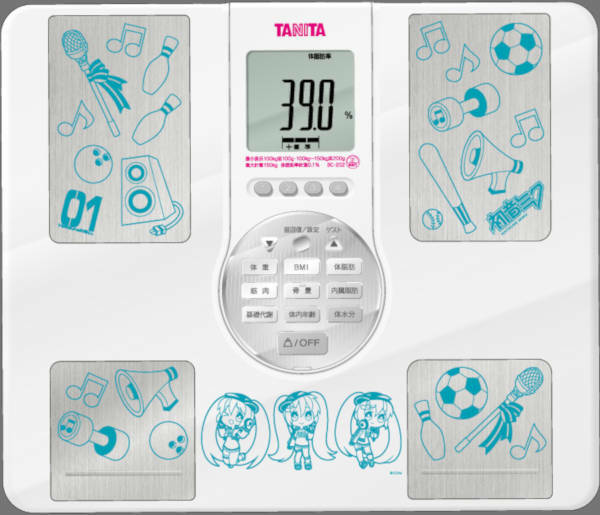 Preorders for the body composition monitors and pedometer are now available until March 9th at 23:59 JST, with shipping scheduled for May 2019. 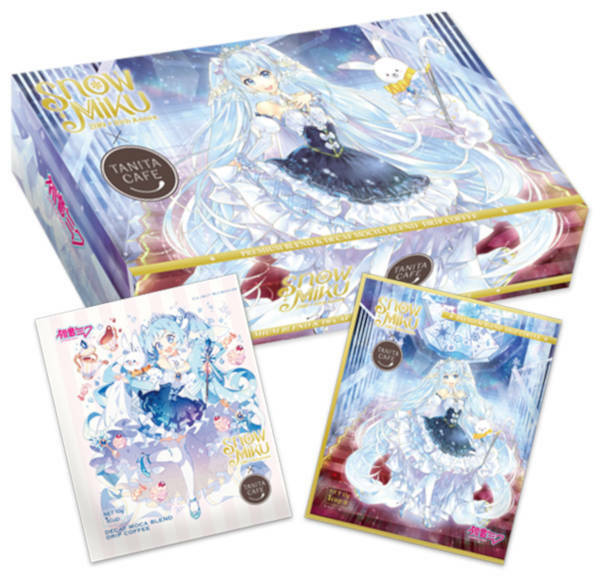 Alternatively, if you’re planning for a visit to Snow Miku festival this year, look out for TANITA booth for the special Snow Miku coffee drip bags. The package is priced at 2,000 yen, and features two flavors: Premium Blend and Decaf Moca Blend.